After lunch entertainment includes a visit to the ‘Jam Factory’ - a contemporary craft gallery housed in Seppeltsfield’s historic stables. And a late afternoon visit to Magill Estate will serve as a stunning prelude to embarkation on the TRUE NORTH. 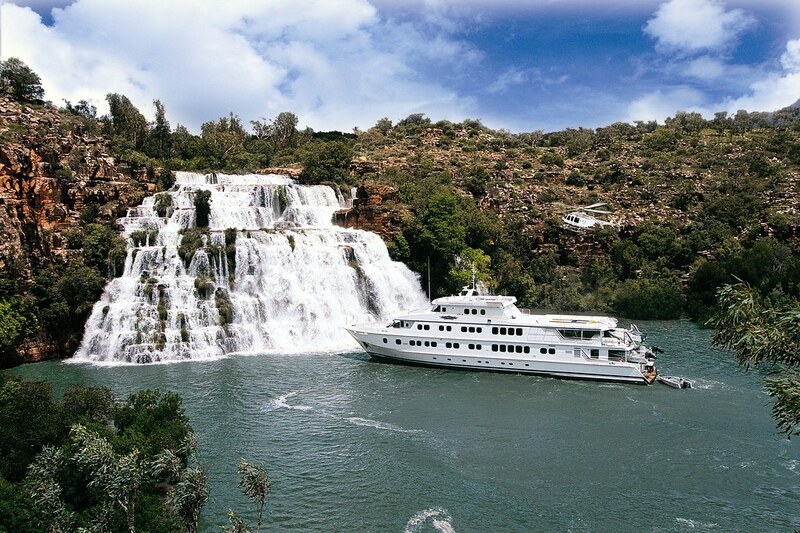 Magill offers breathtaking views of the Penfolds vineyard and guests will indulge in a luxurious experience of storytelling and tasting before continuing onto the TRUE NORTH for their first night on board. Saga Cruises has released its new programme of 2018 sailings which include putting West Africa back on the cruise map. The 20 night Saga Pearl II ‘Traditions of the Canaries and Africa’ Cruise gives guests time to go ashore in Banjul, in The Gambia, and Dakar, in Senegal. The themed cruise will focus on West Africa’s culture and traditions and includes talks by an anthropologist about local culture, customs and current issues. Authentic African dishes are prepped by a local chef and there is a traditional performance by Gambian dancers plus an art, dance and music performance in Dakar. Banjul is the tiny capital of The Gambia and the political centre of the oldest democracy in Africa. The country is actually little more than the banks of the mighty River Gambia, set on St Mary’s Island, where the river joins the Atlantic. Dakar is on West Africa’s westernmost point and the capital of French-speaking Senegal. Here there is a frenetic buzz of activity and visitors can try their hand at bartering in the craft markets for traditional embroidery, woodcarvings, metalwork and costume jewellery or just relax in the sunshine and taste the local mint tea. Although Dakar is West Africa’s oldest European city, it is the most westernized and bears the legacy of Africa’s French colonial past, especially in the downtown Plateau area, where the architecture has echoes of southern France. This 20-night all-inclusive* cruise on January 8, 2018 sails from Southampton and also makes calls to São Vicente, in the Cape Verde Islands, 300 miles off the coast of West Africa; Santa Cruz, La Palma and Arrecife, Lanzarote, in the Canary Islands; Funchal, Madeira and Portimão and Lisbon, Portugal. The Traditions of the Canaries and Africa 20-night cruise starts from £2,799 departing from Southampton on January 8, 2018 and returns to Portsmouth on January 28, 2018. Price includes UK travel package to and from Southampton, all meals and entertainment, *all-inclusive drinks which include selected wines at lunch and dinner, Saga house-branded spirits, draught beer and lager, non-alcoholic cocktails and all and soft drinks, afternoon tea, 24-hour room service, welcome cocktail party, unlimited tea and coffee in selected venues, free Wi-Fi internet, all on-board gratuities, porterage, free shuttle bus to nearest town centre (whenever possible and when the ship is berthed more than 500 yards away), optional travel insurance and additional cancellation rights, or a discount if passenger has own insurance. 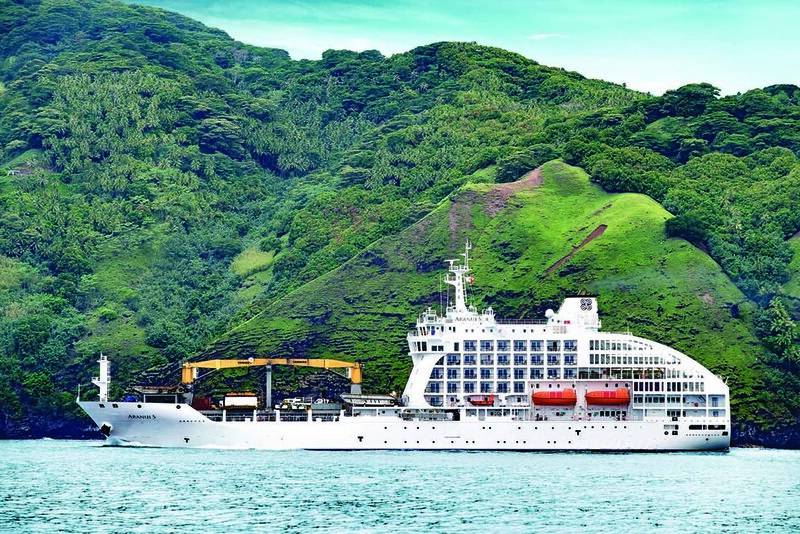 One of the joys of taking a cruise on board the Aranui 5, is the opportunity to become immersed in Polynesian culture as the ship docks at some of the most remote islands in the world. Among the shore experiences which take this philosophy to the next level, is the chance to have a traditional Polynesian tattoo, carried out by a native artist in what is considered to be the birthplace of tattooing. 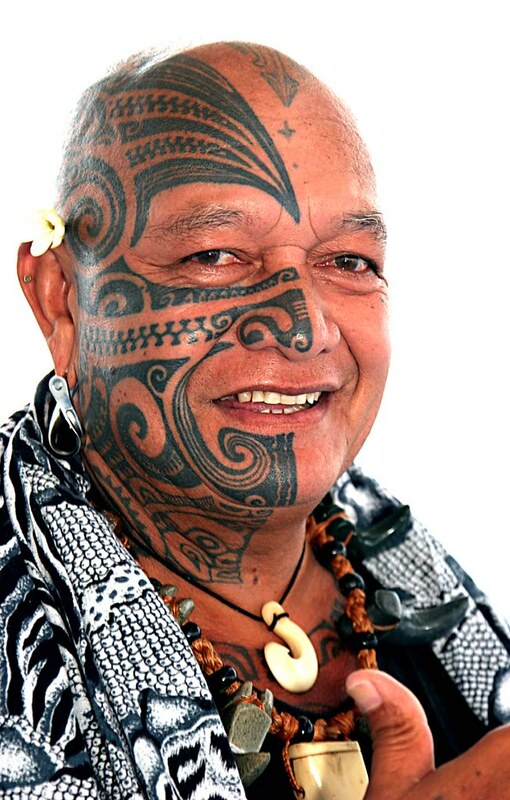 In traditional Polynesian culture, tatau (tattoos) play an important role in society, symbolising major life events, rites of passage, social status, heroism, hunting and fishing prowess, family identity and religious power. The Polynesian art was revived in the 1980s after a long prohibition period enforced by missionaries, and has become increasingly popular worldwide due to its unique aesthetic and rich history. Since the ancient tattoo process is very time consuming and involves the use of wooden tools and a serrated comb made of bone, passengers’ tattoos are applied using modern equipment by artists who adhere to the highest standards of safety and cleanliness. Western techniques are combined with traditional art to create a distinctly Polynesian look. Passengers board the Aranui 5 in Papeete, Tahiti, for an awe-inspiring 14-day holiday, which stops in the Tuamotu Archipelago, Bora Bora in the Society Islands, as well as in the Marquesas. Other onshore experiences include hikes, visits to sacred ritual sites, encounters with local artisans, a visit to renowned French artist Paul Gauguin’s grave, snorkelling in the truly translucent waters of the atolls, a trip to a pearl farm and delicious picnics on white-sand beaches. Prices for a 14-day voyage, including all taxes, start from Euros 2,528.54 in a class C dormitory (no children under 16 years) and from Euros 3,891.23 in a standard double cabin, based on two sharing. 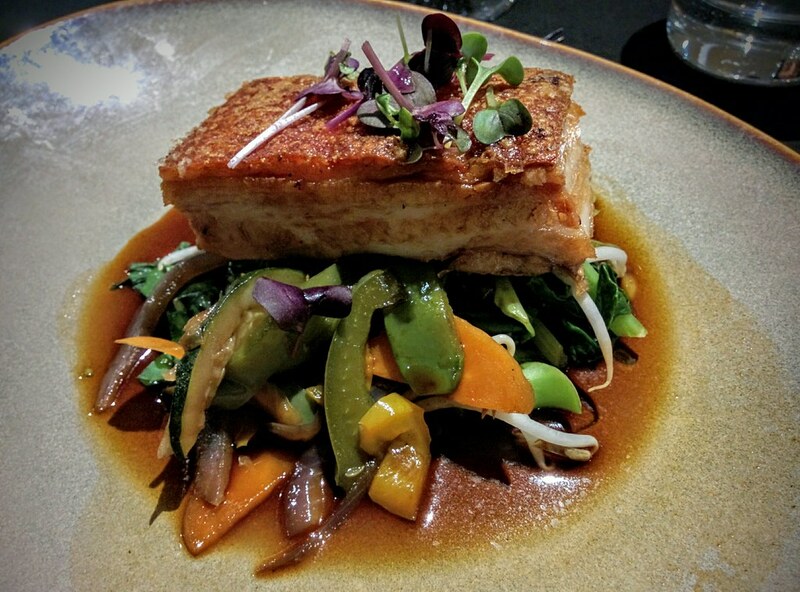 This includes all meals and wine during meals on board, planned excursions, expert lecturers and guides, a primarily Polynesian crew, plus facilities such as a swimming pool, fitness room, spa, bars, restaurant, lounges, library, video and computer room. 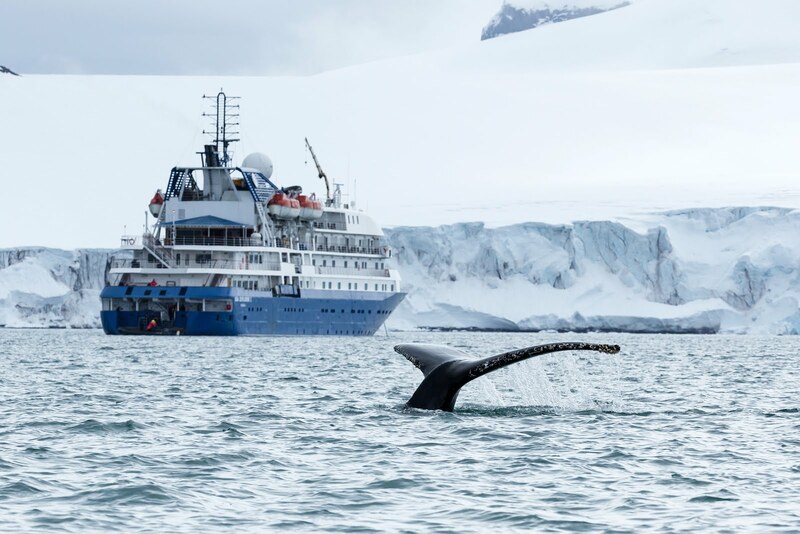 As Canada prepares to celebrate its 150th anniversary next year, specialist adventure cruise operator, One Ocean Expeditions (OOE), reflects on the successes of the 2016 cruise season, highlighting why 2017 will be a great time to travel to the Canadian High Arctic. During 2016 OOE’s guests enjoyed record-breaking numbers of polar bear encounters – with no less than 91 separate sightings on one voyage alone! In addition, there were frequent sightings of humpback, beluga, grey, pilot and bottlenose whales, as well as rare fin whales and the mythical narwhal. Bird lovers were treated to staggering numbers of thick-billed murres, black-legged kittiwakes, northern fulmars and black guillemots to name but a few. Plus, passengers on late season voyages witnessed the mesmerizing spectacle of the Northern Lights dancing across the night sky on several occasions. 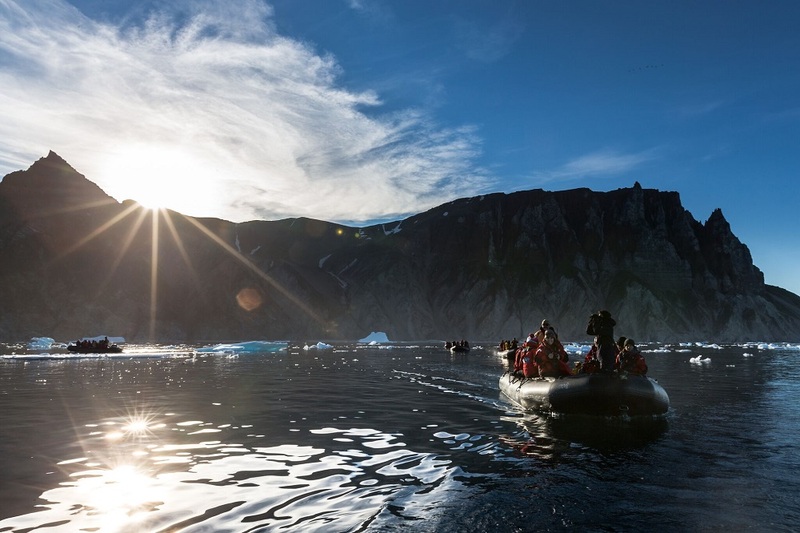 Visits to remote Inuit communities are among the highlights of a voyage with OOE, giving passengers a fascinating insight in to an ancient culture and providing the opportunity to experience the warmth of the people who inhabit Canada’s north. Inuit guides also travel on board the ship, adding their insider knowledge and cultural interpretation during each voyage. Four new, exclusive Canadian Arctic voyages – departing during July and August - will be added to OOE’s cruise programme for 2017, in recognition of this historic anniversary year. Among them is the nine-night Pathways to Franklin – A Voyage of History (14-23 August 2017) departure, focusing on early Arctic exploration and the ill-fated Franklin expedition of the 1840s, in which 129 men perished and two ships vanished for almost 170 years. 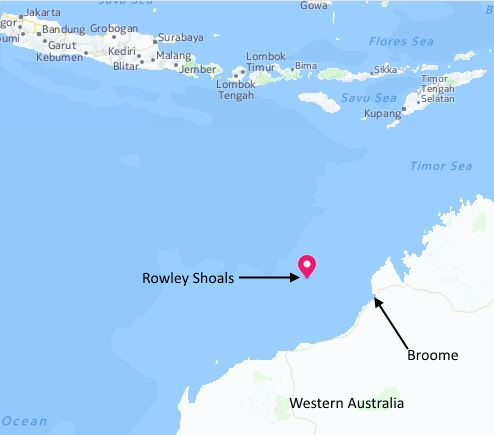 OOE played a significant role in the discovery of one of these ships, HMS Erebus, in 2014, while the second, HMS Terror, was discovered by a research ship just two weeks ago. Passengers will explore the vast breadth of the Northwest Passage and visit key landing sights in remote areas, which would otherwise be inaccessible. Several departures during 2016 hosted historians and curators from the Vancouver Maritime Museum. 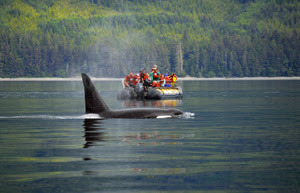 Scientists and researchers from the prestigious Royal Canadian Geographical Society, Vancouver Aquarium and Parks Canada joined other voyages. During 2017, an impressive roster of some of the world’s leading Arctic experts, guest speakers and Canadian icons will join OOE’s experienced team. 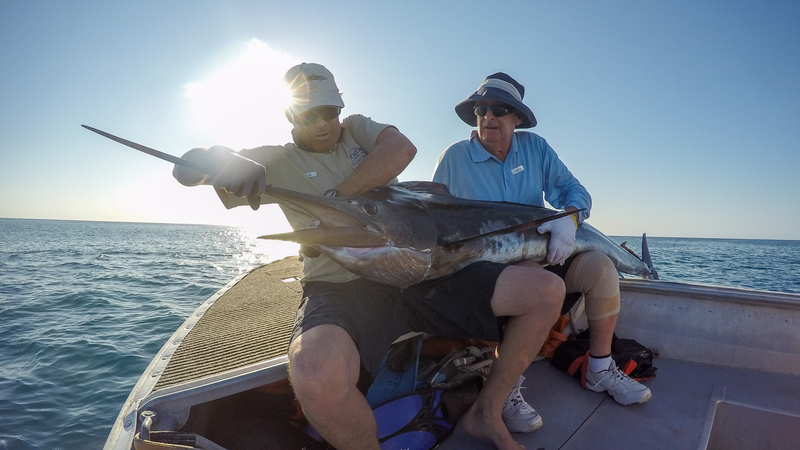 They are committed to providing fascinating presentations, hosting lively discussions and accompanying off-ship excursions, ensuring that a wealth of knowledge is always available to interested passengers. 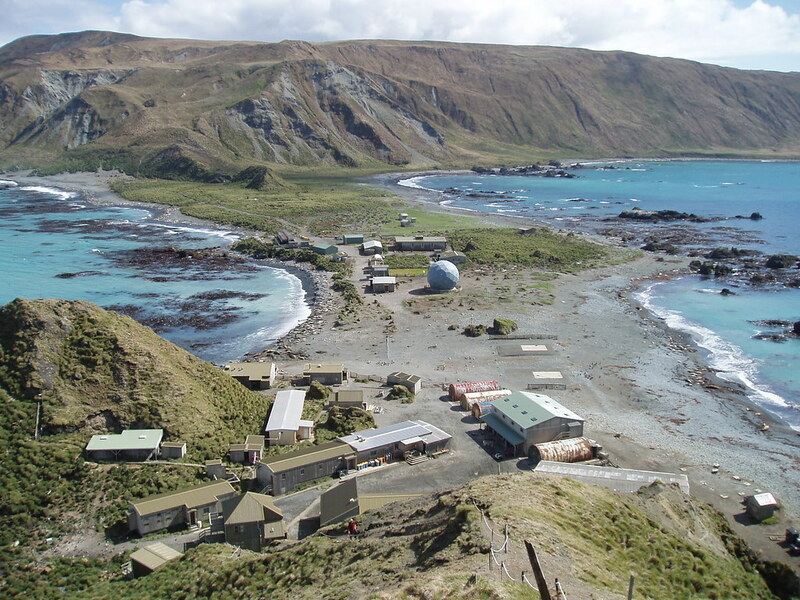 OOE offers northern charter flights to these remote destinations at competitive prices, starting from just US $1200pp return from Edmonton or Ottawa to the point of embarkation / disembarkation. Prices for Canadian Arctic cruises start from US$5495pp based on nine nights’ triple share, including the use of polar clothing, meals onboard and daily excursions. 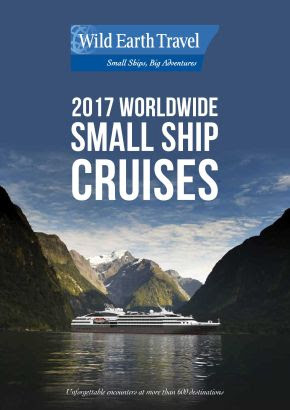 The new 2017 Wild Earth Travel small ship cruise brochure is now available. If you are planning to head across the world or stay closer to home in 2017 you will find a comprehensive collection of small ship and expedition cruising options for everyone. 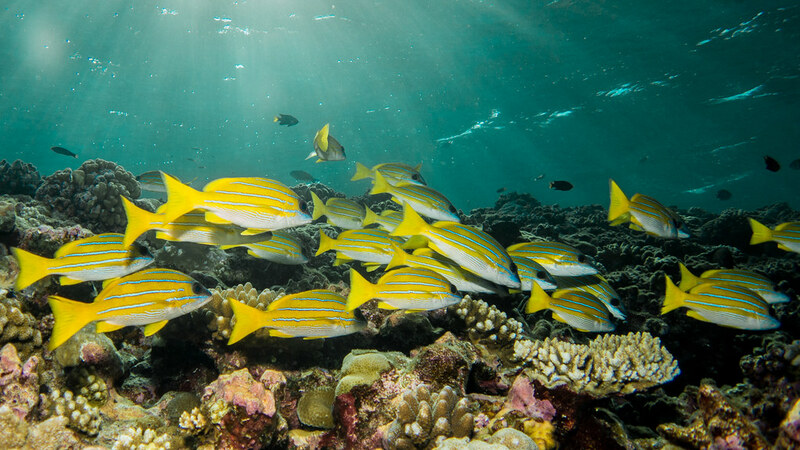 Dive Fiji like never before with Captain Cook Cruises four-night Northern Yasawa and Tivua Island cruise and dive package aboard small ship cruise vessel MV Reef Endeavour. Priced at only $2268 per person, it not only offers savings of $880 per person but guarantees divers will dive at different and untouched locations each day, while accessing the most remote and pristine areas of Fiji. This amazing four-night Northern Yasawa and Tivua Island cruise and dive package includes 20% off porthole cabin fares with a free upgrade to an ocean stateroom and seven dives throughout the cruise, including at new Tivua Island dive wreck Raiyawa. The cruise visits some world class dive spots and offers guests two dives each day, always in different locations. Dive groups are small in numbers and dives last about 40 minutes. All scuba diving is operated by Viti Water Sports, a PADI5 Star Dive Centre, and cater for certified, occasional and first time divers. First time divers can learn to dive onboard, practicing all the basics skills in the pool and then experiencing their first open water dive in the warm clear waters. Passengers can experience seven free dives on the four-night cruise and choose from over 15 dive sites including The Blue Lagoon, The Zoo, The Maze, Babylon Caves and Mistiq, all offering a different dive experience from diving through caves and canyons, over breathtaking coral gardens, to wall diving and diving through amazing marine life including pelagics and sharks. 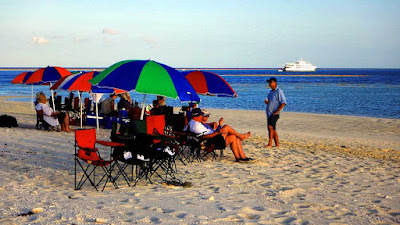 According to Captain Cook Cruises passenger and avid diver, Mike Agnew, "Diving on the 4 day Yasawa Cruise is a must. You visit so many more locations than you could from a resort – all different, all interesting and the dive crew can pretty much select dive sites for your preference – drift, macro, wide-angle, shark, swim-throughs – all in great visibility. We never even saw another dive boat, let alone had to share a dive site. Fantastic!" 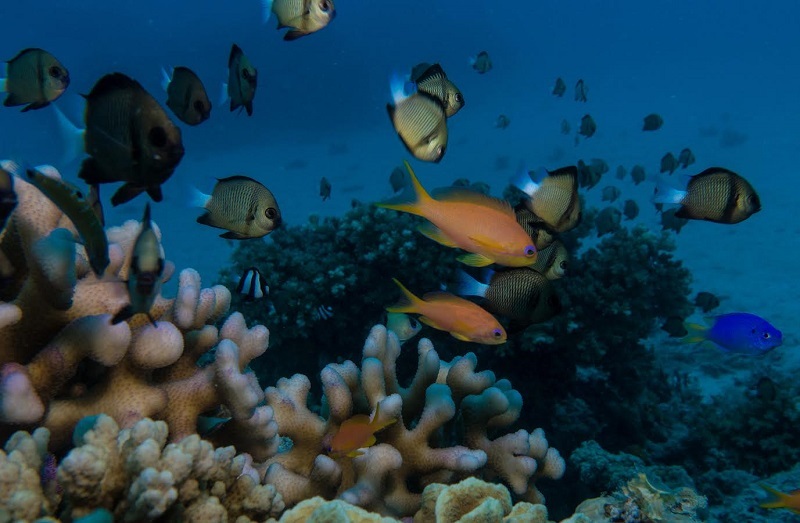 Diving Raiyawa, Captain Cook Cruises Fiji's newest dive site just off Tivua Island is also included in the package. Having only opened this year, Raiyawa, has been turned into a wreck divers dream. Offering an exciting dive for advanced divers, divers descend down through misty, rich waters with the ship coming into sight like a ghost ship. "MV Raiyawa was a great dive. Easy descent (and ascent) along the bow-line, lots of fish around and in the wreck, spooky nooks and crannies and plenty of cut-outs to allow safe penetration through big or small hatches. I thoroughly recommend it as a dive." Says Mr Agnew. As well as visiting world class dive sites, the four-night cruise also visits the private island of Tivua, the Sawa-l-Lau limestone caves and blue lagoon and cruises the spectacular passage from Yaqeta Island to the Yasawa's northern reaches. Along the way passengers visit remote villages, churches and schools and take part in traditional village sevusevu ceremonies and Meke and Lovo feasts. There is also plenty of time for relaxing on warm white sandy beaches, swimming in crystal clear waters, snorkelling over amazing coral reefs, stand up paddle boarding and even taking a glass bottom boat ride to witness the abundance of marine life that thrives on Fiji's coral reefs. The four night Northern Yasawa and Mamanuca cruise and dive package is on sale until 30 November 2017 and valid for travel until 31 March 2017. Prices start from only $2268 per person, twin share, offering a savings of $880 per person. Fares include 20% off porthole cabin fares with a free upgrade to an ocean stateroom, seven free dives throughout the cruise, shipboard accommodation, all meals, guided village, school and island tours, snorkelling and glass bottom boat excursions, daily island stopovers and water activities, hikes and Kayak safaris, on board entertainment, kids club (5-9yrs), onboard Wi-Fi, 24-hour self-service tea and coffee bar, post cruise transfers to Nadi and Denarau hotels and Nadi airport and use of the ship's facilities including a swimming pool, spa's, mini gym, sun deck, cocktail bar and library. 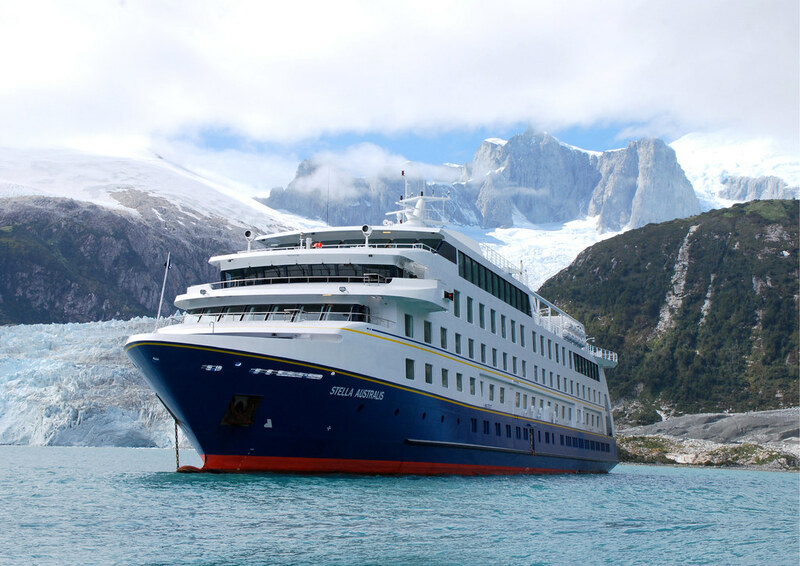 The National Geographic Endeavour ll is undergoing a complete refit and Lindblad Expeditions-National Geographic has provided us with a video showcasing the progress. 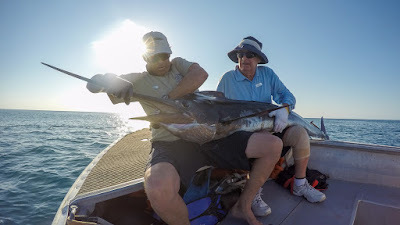 The video shows the transformative refit, what's being done and a glimpse of what "shipboard life" will be like on board this expedition vessel. The ship will sail Galapagos voyages, starting in January 2017. As the newest ship to sail in Galapagos, National Geographic Endeavor II -- the former Via Australis -- has a shallow draft to get up close to land and wildlife sights, views from all public spaces, large windows in cabins and suites. It also features a twin Zodiac loading platform. 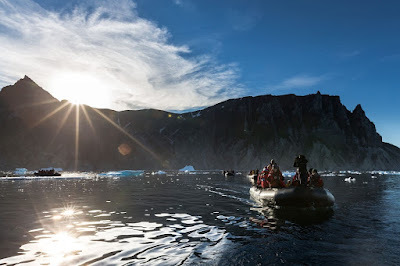 Accommodating 96 guests in 52 cabins and suites, the new vessel will cater to a mix of families, friends, couples and solo travelers, according to Lindblad Expeditions-National Geographic. 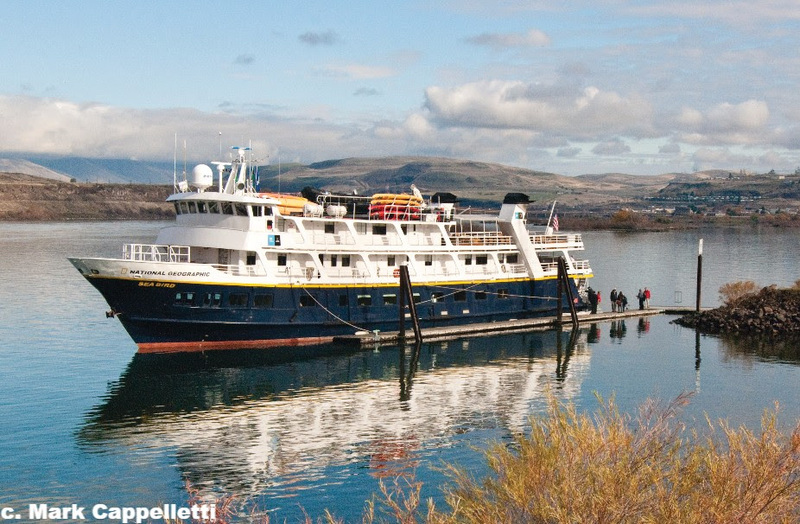 The spectacle of changing foliage, wine harvests, rare oysters and curated food vendors are bonuses while traveling this fall on Pacific Northwest waterways with small ship cruise expert AdventureSmith Explorations (http://www.adventuresmithexplorations.com/). All of the cruises are accessed through gateway cities in the Pacific Northwest. Two cruises expound on the lore and meanderings of four remarkable rivers, while another cruise explores the beauty of the San Juan Islands and the Olympic rainforest. Columbia & Snake Rivers Journey – sails between Portland, OR & Clarkston, WA: This 7-day cruise operated by the renowned Lindblad Expeditions features National Geographic guides and experts on board and comes with a culinary focus: each meal is harvested from farms along the rivers and through the company’s Food Alliance affiliation. Lindblad Expeditions says they are the only Food Alliance Supply Chain Ally in the travel industry, ensuring that the food they serve is produced by well-treated workers; that meat products come from humanely raised animals; and that the regional soil, water and wildlife habitats are protected and enhanced. 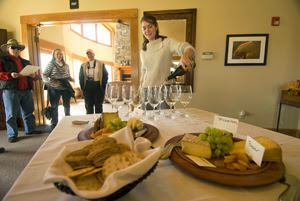 Some of the region’s providers supported on this itinerary include Country Natural Beef, a cooperative of 120 family ranches; Tillamook Cheese, made up of 110 dairy farms committed to animal welfare and dating back to 1909; and Draper Valley Farms, the pioneer of Washington- and Oregon-raised fresh chicken since 1935. Guests will also be able to visit a Hood River family farm where they can sample fresh fruit and see the orchard outfitted with fall colors. Guests also enjoy the spectacle of huckleberry plants painting the hillsides gold, scarlet and orange. Olympic Wilderness & San Juan Islands - roundtrip from Seattle, WA: This active (paddle boarding, hiking, kayaking) 8-day cruise aboard the 76-guest Wilderness Discoverer explores the Olympic Peninsula, Puget Sound and the San Juan Islands while celebrating harvest season with a particular taste of the sea. On many departures, guests get to visit with the five generation family-run Hama Hama Oyster Farm as it enters its peak September through April season. 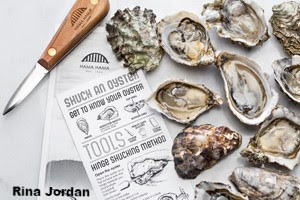 Located on the Olympic Peninsula, Hama Hama’s oyster beds sit at the mouth of one of the shortest, coldest and least developed rivers in Washington, yielding a clean, crisp flavor. Guests sample the farm’s classic, beach-grown Hama Hamas and tumble-farmed Blue Pools. “I think our oysters are a special local treat,” says Hama Hama’s Lissa James Monberg. “Because our company has been here a long time, we strive to be excellent stewards of the environment and great employers, and we really care about producing a quality product.” Lissa or one of her coworkers joins the 76-guestWilderness Discoverer to explain how they farm, discuss oyster flavor with tastings and demonstrate how to shuck like a connoisseur. There are few more memorable moments in Arctic cruising than your first Zodiac landing. Wrapped in fleece, rolled in Gore-Tex and carrying enough camera gear to shoot an entire David Attenborough documentary, stepping ashore on Svalbard feels like a mission to Pluto.